Thank you to our awesome team members, present and past and all of our wonderful clients who made this possible! Don't forget to have your dogs and cats tested for heartworm and lymes disease and get them on prevention (only after they test negative). If you have had a positive experience here, please leave us a review on google or facebook! Just type "Country Lane Veterinary Services" in the search bar and click "leave a review" under our name. Have a question about your pet's medication? Give us a call at (585) 589-9835! Is your pet due for vaccines? If so, call us at (585) 589-9835 to set up an appointment today! Have you ever considered pet accident and illness insurance? We have three insurance companies that we think might be a good fit for you Embrace, Hartville, Nationwide Pet Insurance. Pet Emergency? If You are Already an Established Client, Call us right away at (585) 589-9835! If you live in Albion or the surrounding area and need a trusted veterinarian to care for your pets – look no further. Dr. George McKenna is a licensed NY veterinarian, treating cats, dogs, cattle, and goats. Your pets’ health and wellbeing are very important to us, and we take every possible measure to give your animals the care they deserve. 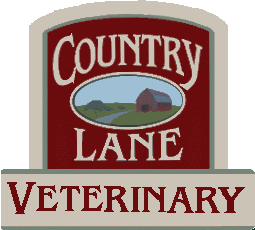 Country Lane Veterinary is a full-service animal hospital and welcomes both emergency treatment cases for established clients, as well as pet patients in need of routine medical, surgical, and dental care. Dr. George McKenna has years of experience treating serious conditions and offering regular pet wellness care. Beyond first-rate pet care, we make our clinic comfortable, kid-friendly, and calm, so your pet can relax in the waiting room and look forward to meeting our veterinarian. We are happy to offer a number of resources that enable you to learn about how to take better care of your pets. Please feel free to browse our site, particularly the informational articles. The best veterinary care for animals is ongoing nutrition and problem prevention, so becoming knowledgeable about preventative pet care is essential to the ongoing success of your animal’s health. If you have any questions, call (585) 589-9835. Our veterinarian office is very easy to get to -- just check out the map below! We also welcome you to subscribe to our newsletter, which is created especially for pet owners. At Country Lane Veterinary, we treat your pets like the valued family members they are. "This last week, we had to make the difficult decision of laying our beloved old man, Jet to rest. After clearing out a whole room for us, they gave us as much time as we needed to say goodbye. Then came the lovely sympathy card with the precious print of Jet's front paw. Thank you Country Lane Vet for all the support and care for the countless years, and for knowing just how much a small gesture can mean at such a difficult time!!!!" "I cannot thank the McKenna's and staff for always giving Katem and I the best service. Like most pet parents I have a tendency to freak out when I think something is wrong and they are always caring and concerned for us whenever we call. Thank you for you kindness and professionalism." "Have only been using CLVS for a year and 1/2 since Dr. Pray sold Batavia Animal Hospital. Dr. McKenna and his staff are wonderful and provide great care. Highly recommend." "I have been taking my fur babies to Dr McKenna for at least 7 years and every visit is pleasant, the staff is always so cheerful and welcoming and Dr McKenna goes above to make sure my babies are safe and in good health. Thank you all for fantastic services." "Dr. McKenna, Iva, and their staff give outstanding treatment to our pets. Even on his day off he has called us when we had a concern. Just over a year ago, we mentioned we would like to find a service dog for our daughter who has epilepsy. Not long after that, we got a phone call from Mrs. McKenna saying they want to hold a fundraiser and they made it happen! Call them today for your pet and tell them, “Molly the seizure response dog sent you!”"
"I was put in a very tough position this weekend when the vet I had been going to confirmed what I had suspected that yes my sweet and dear girl Charlotte, that I've been blessed with for 14 years, had kidneys that were failing. This other vet (that I will not name) said that I could bring her in... in 4 days, at end of day, to euthanize her. I could not bear to wait that long as it was clear that my sweet pup had toxins building every second. Dr. McKenna and his wife handled this situation with such understanding and humanity... even on a weekend(imagine that!). I am so grateful for the calm that Miss Charlotte was able to leave this world with. It's an awful circumstance, made bearable by the kindness of these folks. Thank you both."